A black man who was asked to prepay for his meal filed a complaint. An Ontario human rights tribunal ordered the restaurant to pay him $10,000. A popular Toronto restaurant has been fined $10,000 for a case of racial profiling that was deemed a violation of Ontario's human rights code. 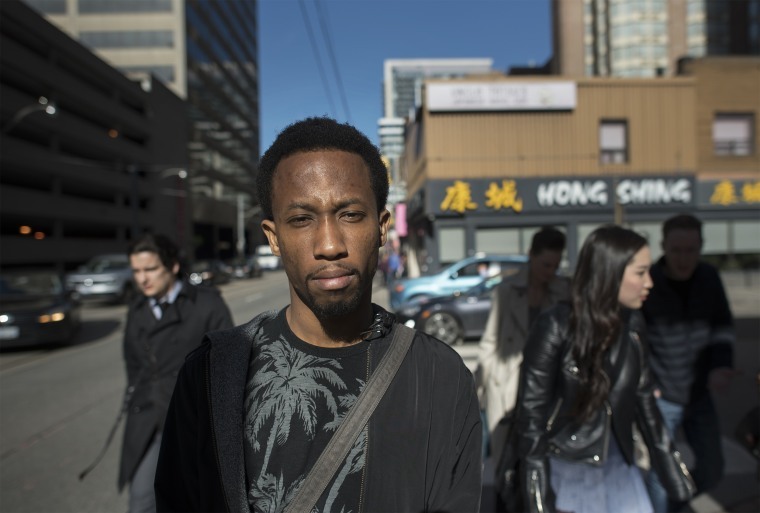 The Human Rights Tribunal of Ontario ordered Hong Shing Chinese Restaurant in Toronto’s Chinatown to pay the sum after Emile Wickham, 31, a black man who was asked to prepay for his dinner, filed a complaint alleging racial discrimination. Wickham and his three friends, who are also black, went to Hong Shing in May 2014 to celebrate a birthday, Toronto’s Globe and Mail first reported. Their waiter told them that it was restaurant policy to pay for the food prior to receiving it. Wickham questioned other customers about whether they had to prepay too, and found that nobody but him and his three friends had been asked to prepay. The report from the tribunal, issued April 18, confirms that they were the only black people in the restaurant. No employee or representative attended the tribunal hearing, but the report says the restaurant sent over a statement that said the restaurant “attracts something of a transient crowd” and anticipates that diners will walk out on their checks often. The restaurant said in the statement that asking customers to prepay was a way to ensure that customers whom restaurant employees did not immediately recognize paid for their food. But the report, filed by Esi Codjoe, vice chairwoman of the tribunal, states that one of Wickham's friends said he had been to the restaurant at least 15 times since he was 19 years old. At the time of the meal, Wickham and his friends were students at York University. Hong Shing posted a statement on Instagram Monday saying that the restaurant was under different management in May 2014 and that it is appealing the the tribunal's decision and the fine. "At this time we cannot comment further, beyond emphasizing that the current owner and staff are dedicated to be a committed, inclusive and responsible member of the community," read the statement. Codjoe said the restaurant treated Wickham like “a potential thief in waiting” and violated a code that ensures equal treatment for all when seeking any services. “His mere presence as a black man in a restaurant was presumed to be sufficient evidence of his presumed propensity to engage in criminal behavior,” she wrote. The legal process has taken a toll on Wickham, who immigrated to Canada from Trinidad and Tobago 10 years ago. He said this wasn't the first time he had encountered racism since he'd lived in Canada, but it was the most overt snub. "Essentially, this incident was what broke the camel’s back. I’ve had many experiences of racism since I’ve been in Canada,” Wickham said in the interview. The claim "symbolizes the experiences of many persons who identify as black in Toronto and Canada as a whole."